Pope Gregory XI (b.1329-d.1378)1 was the last French pope elected in Avignon, France. Pope Gregory XI began a relationship with Catherine in late 1375/early 1376 as the earliest letter between the two are placed. Catherine wrote him numerous times in regards to her desire, and the Italian world, to return the papacy to Rome, Italy. In 1377, Catherine traveled to Avignon at his invitation and met with him to persuade him that moving the papacy would benefit the numerous problems affecting the religious world. 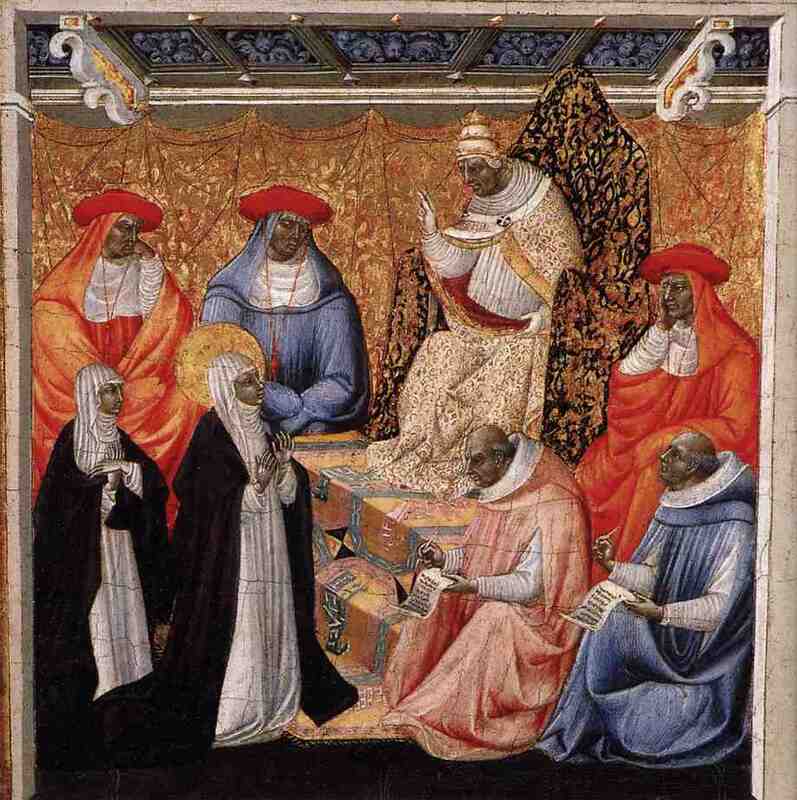 Pope Gregory highly valued Catherine’s opinions and believed in her divine mission even when Catherine had harsh words against him. Pope Gregory XI died in 1378 in Rome, Italy. Banner Photo: Basilica Cateriniana di San Domenico in Siena, Italy. By Jessica Mills, 2014.